It is important that NCSCT activities are founded on the best possible evidence of need for these activities, the nature of those activities, and the effectiveness of these activities. 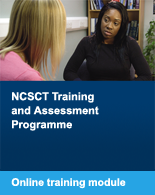 The research activities of the NCSCT are carried out by a team of experts at University College London. This programme of work is led by two NCSCT directors, Professor Susan Michie and Professor Robert West along with a team including Dr Andy McEwen, Dr Emma Beard, Dr Leonie Brose (Institute of Psychiatry) and Fabiana Lorencetto (City University). Below we list the main findings from NCSCT publications with the citation for these papers. 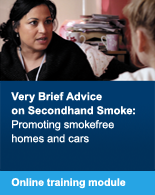 "The English Stop Smoking Services have had an increasing impact in helping smokers to stop in their first 10 years of operation and successfully reached disadvantaged groups. However, performance across local services has varied considerably." "Stop smoking services may enhance success rates with disadvantaged smokers if they promote use of open groups." "A substantial part of commissioning of Stop Smoking Services in England appears to take place without adequate consultation of evidence-based guidelines or specification of the service to be provided. This may account for at least some of the variation in success rates." "Routine clinic data support findings from randomised controlled trials that smokers receiving stop-smoking support from specialist clinics, treatment in groups and varenicline or combination NRT are more likely to succeed than those receiving treatment in primary care, one-to-one and single NRT." "Most NHS Stop-Smoking Services appear to provide relapse prevention interventions for clients despite there being no evidence that these are effective." "Telephoning smokers from GP lists is a cost-effective method of prompting quit attempts using NHS Stop-Smoking Services." "There are significant deficiencies in training and supervision of Stop-Smoking Practitioners in England, more so for ‘community’ (for whom smoking cessation is a small part of their role) than ‘specialist’ practitioners." "Whilst behaviour change techniques associated with effective smoking cessation support in pregnancy can be identified from high quality RCTs, English Stop-Smoking Services appear to use only a proportion of these." "A significant minority of Stop-Smoking Practitioners and Stop-Smoking Managers believe that NRT use for smoking reduction can be harmful to health and undermine smoking cessation." "It is possible to identify specific knowledge and skills required for delivery of effective behavioural support for smoking cessation. This approach can form the basis for development of assessment and training of stop smoking specialists." "It is possible to code reliably group-specific behaviour change techniques for smoking cessation. Fourteen such techniques are present in guideline documents of which two appear to be associated with higher short-term self-reported quit rates when included in treatment manuals of English Stop-Smoking Services." "It is possible to develop a reliable taxonomy of behaviour change techniques used in behavioural support for smoking cessation which can provide a starting point for investigating the association between intervention content and outcome and can form a basis for determining competences required to undertake the role of stop smoking specialist." 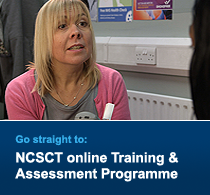 "Knowledge required to deliver effective stop smoking intervention is improved substantially after using the NCSCT online training programme. Practitioners with all levels of prior knowledge benefit." "The two-day skills training course leads to a substantial increase in participants’ ratings of their confidence and skills." 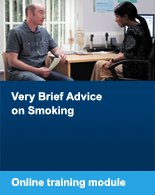 "Offer of help with stopping by a GP appears to be more effective than advice to stop in promoting smoking cessation."